Probably the most influential woman in the mobile industry, Commissioner Reding has not won a great deal of friends among mobile operators. Whether you see her as a slick, populist politician interfering in a market that is best left to set its own levels, or as a consumer champion who has broken the back of cosy operator pricing cartels, there is no denying her impact. With a seemingly boundless enthusiasm for forcing operators to cut their prices, Reding’s willingness to regulate on retail as well as wholesale roaming charges is seen universally among carriers as a step too far. Individually and collectively—through the GSMA—most have complained that natural market forces would have brought prices down without her intervention. That, of course, can never be proven. But it’s unlikely that prices would have fallen as far or as fast if operators had been left to their own devices. Reding shows no signs of slowing down and her next target will be data access roaming charges. 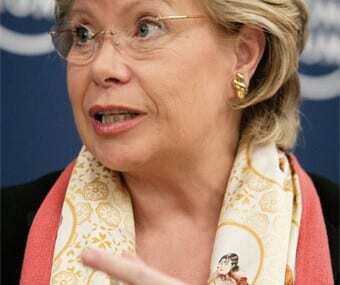 Memorably at the Mobile World Congress in 2008, having been denied the opportunity to speak about what she wanted to during the GSMA press conference, Reding led the assembled journalists outside and gave an impromptu speech on some steps. She will not be ignored.